Market-rate housing is an apartment that has no rent restrictions. A landlord who owns market-rate housing is free to attempt to rent the space at whatever price the local market may fetch. In other words, the term applies to conventional rentals that are not restricted by affordable housing laws. Market-rate housing can be beneficial for landlords, as it is less complicated and they may be able to generate higher rent income as a result. But if you're a tenant looking for an apartment you can afford, a living in a market with a high cost of living can make things tricky. Here are a few things you should know about market rate housing and how to find an apartment you can afford. Market Rate Housing: What Affects Rental Prices? Landlords can't just charge whatever they want and hope to find a tenant. For example, if two-bedroom apartments rent for an average of $1,800 in a neighborhood, it wouldn't be realistic for a landlord to charge $3,000. But where do market-rate housing prices come from? 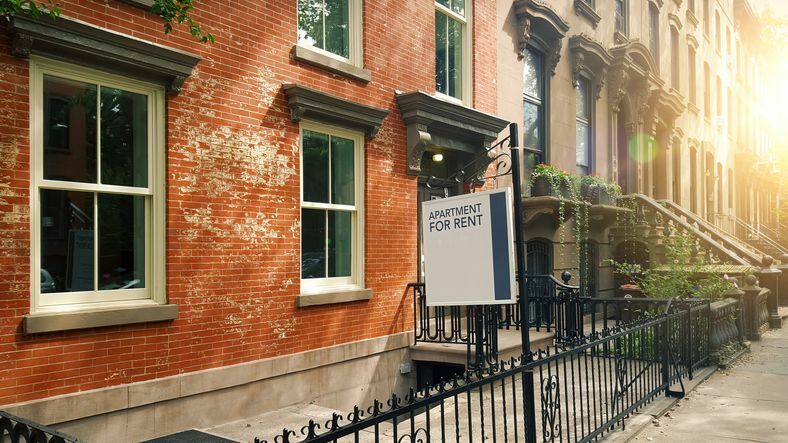 Here are some things that affect the rental market. High Demand: Millennials are choosing to rent longer, more people are putting off buying homes, and the Baby Boomer generation has started to reach retirement age and started to downsize. In addition, more people are moving to urban areas, where renting is the norm. That means that more people are renting than ever before, resulting in fewer rental units to go around. Neighborhood Popularity: In general, people with a lot of money to spend on rent want to get the most out of their neighborhood, and are more likely to choose trendy neighborhoods with restaurants and other amenities. This means that wealthier people–who are willing to spend more–often move to these parts of cities, which drives up the cost of rent for lower-income individuals. Strict Mortgage Rules: After the last housing crisis, banks began enforcing stricter mortgage rules. Few people able to afford to buy a house has translated into more people renting, resulting in high demand. Get a roommate. Splitting the cost of common areas, such as the living room, bathrooms, and kitchen, with more people is a great way to cut costs and can be fun, too. Beware of fees. When you're looking for an apartment, always make sure you understand all of the fees, such as pet fees, storage, and parking. These things can quickly add up, making the advertised rent much higher. Understanding market-rate housing is the first step toward finding an apartment you can afford and enjoy living in for years to come.